25 apartments for individuals and families impacted by a protected medical disability. 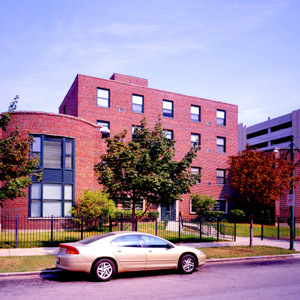 Vision House was created through a unique partnership between IHDC, Liberty Baptist Church and Cook County hospital's Primary Care Center and. Provident Hospital. Vision House provides 25 apartments and a full continuum of care to individuals and families affected by a protected medical disability.